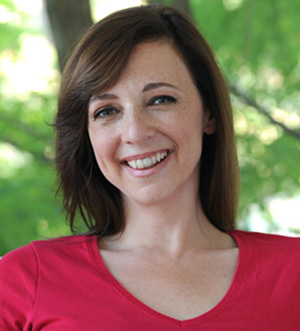 A self-avowed introvert herself, Susan Cain is the author of the recently published book Quiet: The Power of Introverts in a World that Can’t Stop Talking. Cain says this quality is vastly misunderstood and undervalued. 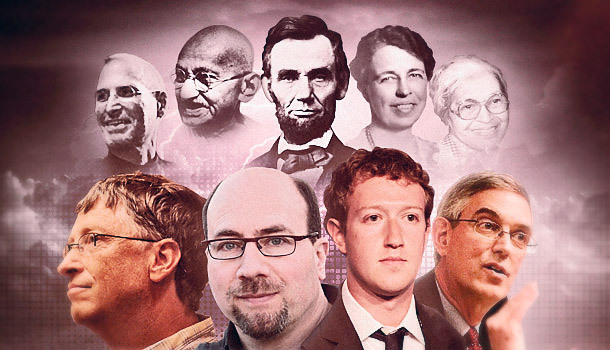 Bill Gates, Craig Newmark, and Mark Zuckerberg would agree: They’re introverts, too. introverts. 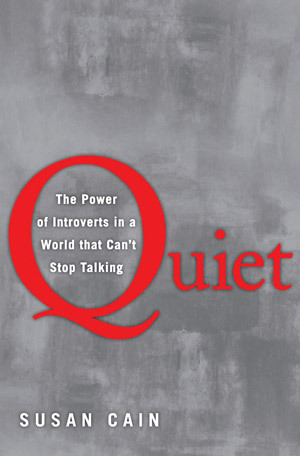 This psychological temperament, according to Susan Cain, author of the recently published book Quiet: The Power of Introverts in a World that Can’t Stop Talking, is vastly misunderstood and undervalued. A self-avowed introvert herself, Cain is a former corporate lawyer and consultant who says that 30% to 50% of the population aren’t just the first to leave a party, they are also uniquely creative, highly focused, and often better prepared than their loudmouthed counterparts. We spoke with Cain about the power of going solo and why brainstorming is broken. FAST COMPANY: You say “introversion is now a second-class personality trait, somewhere between a disappointment and a pathology.” How did we get to this bias? SUSAN CAIN: There are a few historical roots but the primary one I’d say dates back to the turn of the 20th century when society moved from agriculture to big business. So suddenly people who had been living in small towns and working alongside others they’d known all their lives were gravitating toward cities and needing to prove themselves in job interviews and sales calls. We went from what cultural historians call a “culture of character” which valued moral rectitude to a “culture of personality” which we’re still living in today. We suddenly began to admire people because they were charismatic and magnetic. Of course, we also started to see the rise of the movie stars who became our ultimate role models. True, but there was more room for them. Think about Abraham Lincoln, whom Ralph Waldo Emerson wrote about as a man who did not offend by superiority. Lincoln was praised for not throwing his weight around, for acting superior. But in the 20th century, people started to be celebrated for exactly the opposite. The person who was masterful and could command a crowd, that was the person you wanted. In March, we will mark the 50th anniversary of the coining of the term “Groupthink” by William Whyte in a Fortune magazine article. You wrote that the “New Groupthink” is hurting our creativity and productivity. It turns out that we’re such innately social creatures, introverts included, that we can’t really be with other people without always considering what they’re thinking and without instinctively mimicking their opinions. Even with something as visceral as whom you’re attracted to, you’ll be influenced without even realizing it. The psychologist Jamil Zaki found that if you’re with a group of individuals looking at a picture of someone they find attractive, you will consider that person more attractive than you would have otherwise. Zaki used fMRI scanners to show that the reward networks of your brain literally light up more in response to a photograph of that person after you’ve been exposed to the positive judgments of your fellow group members. So in order to know what you really think about something or someone, you need solitude to do it, almost by definition. I’m not saying abolish group work–I think there’s a time and a place for people to come together and exchange ideas, but let’s restore the respect we once had for solitude. And we need to be much more mindful of the way we come together. Studies tell us that the most verbal, assertive, and dominant person’s ideas are going to be paid more attention to. However, those same studies also indicate zero correlation between the effectiveness with which an idea is advanced and its usefulness. Any time people come together in a meeting, we’re not necessarily getting the best ideas; we’re just getting the ideas of the best talkers. If you’re a company that cares about getting the best suggestions from your employees, you need to think a lot more creatively about how to generate those ideas than just throwing people together in meetings. Here’s the way I’d put it. Both solitude and exchanging ideas are crucial catalysts to creativity and productivity. However, today’s emphasis on group work is so lopsided there’s little room for solitude. Plus we’re getting the way we do our group work wrong. Instead, we should be having casual café-style interactions, where people can bump into each other–the way Steve Jobs set up Pixar with its flexible open plan that encourages people to chat without interrupting the workflow. I think that’s great; I’m all for it. I’m not for work settings where people must sit in an office all day, never able to go off by themselves and where they come together in forced brainstorming meetings. That’s my issue. You’ve written that brainstorming sessions are one of the worst possible ways to stimulate creativity. But isn’t the problem how they’re conducted, as Jonah Lehrer wrote in a recent New Yorker article–that they can be useful if there’s some conflict and debate inserted into it. Jonah makes an interesting point about the value of conflict and dissent. But we shouldn’t underestimate how difficult this is to achieve, or how inhibiting conflict can be. Because human beings historically depended on each other for survival, we fear at a very primal level ostracism from the group. Gregory Berns, an Emory University neuroscientist, found that when people take a stand that’s different from that of the group, they have heightened activity in their amygdala, the part of the brain that’s sensitive to rejection. Berns calls this the “pain of independence.” So yes, encouraging conflict and debate moves people away from a herd-like mentality, but there’s a price as well, which is why I advocate having the most casual interactions possible, as opposed to formal meetings. You say solitude can be a catalyst to motivation in describing the “introvert’s creative advantage.” But does solitude really exist anymore with the Internet always lurking in the background? There are signs everywhere that people are longing for it and we’re seeing more creative ways to get that solitude–like those software programs that disable your computer for hours at a time. But I have a more positive view of what the Internet means for introverts and people in general. I liken it to reading a book, which Proust called a “miracle of communication in the midst of solitude.” You’re alone but you’re connecting with another mind in a very deep way. With the net you can be by yourself in your office yet connect with tens or thousands or millions of people at once–fantastic for introverts in particular who crave social environments but want less stimulation. So how do you get around the fact that extroverts get their ideas acknowledged faster over introverts whose ideas may be superior but are obscured by their passive demeanor? This is one of the central issues we’re all gonna need to address. The first step is realizing that wow, all these good ideas are being left behind. So to start, introverts themselves need to figure out how to ensure their ideas are advanced by instilling utterances with an underlying firmness and also discovering ways to propagate ideas through online and written channels, which introverts often excel at. On the other hand, corporations need to tackle this as well. Take Jim Lavoie at Rite-Solutions, a software development company, which had all these quiet geniuses whose ideas were not getting across. So Lavoie created a mock online “stock market” where employees are allotted “fantasy money” to invest in “stocks,” that is ideas floated by their fellow workers that the company should focus on. The company has actually developed some of its best concepts through this system. And it really took just a little bit of creative thought. I also found that the big introverted luminaries in history; Gandhi, Eleanor Roosevelt, and Rosa Parks, and introverted CEOs like Douglas Conant at Campbell Soup, are not motivated at all by a desire for the spotlight. In fact, they care so much about the purpose at hand that they transcend their normal aversion to being center stage. This can be very powerful: first, because they really care, and second because people sense if they’re being led by someone who really wants the best for the organization. People can feel that. Related story: The Brainstorming Process is B.S. But Can We Rework It?